In working with several clients of mine, I’ve become intimately familiar with the $10M plus market place in Manhattan. I predict the $10M plus market place will offer buyers great opportunities through 2019. Why? In 2012 developers started building luxury buildings; the high cost of land and development somewhat forced developers’ hand into the luxe market to make numbers work. An unprecedented re-sale at 15 Central Park West topped $80 million started the ultra-luxury race at One57 and in Manhattan everyone chased the money. The market took off and developers followed and the funnel of buyers seemed unending. 20/20 hindsight shows us that the top of the market was early 2016. Cracks started though in 2014 when oil prices dropped, the US dollar strengthened, Manhattan’s prices shot through the roof and BRIC (Brazil, Russia, India and China) growth faltered. Looking for better returns global buyers turned to other markets including San Francisco and the Los Angeles area. This market continues to adjust here. 8% of all active listings on the market. As a comparison in 2014, $10M+ sales represented only 1-2% of Manhattan properties. We have a high-inventory issue. Newly signed $10 Million+ contracts currently average approximately 19 per month, meaning there’s a 30-month supply of $10 million+ homes in Manhattan. Uber-luxe homes which sold in Jan 2019, were discounted from 7-30% off their last asks. Sunday is “Open House” day in New York real estate. Here’s a list of some gorgeous downtown properties in Manhattan (Scroll Down over My Image & Click onto each listing to view it). 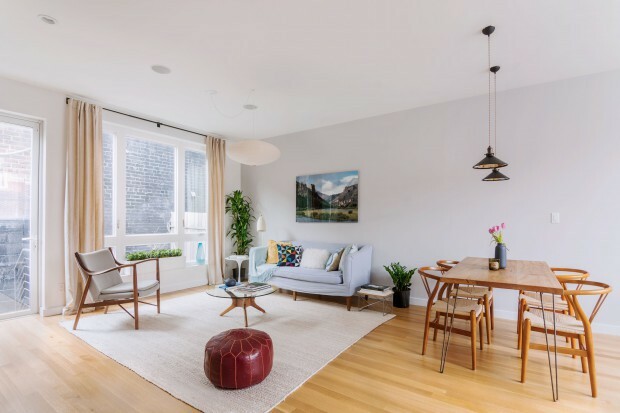 From Chelsea and Flatiron to Soho and Tribeca, if you’re looking for a 2-3 Bedroom Condo, Coop or Loft home, check these listings out. Open Houses are happening today. For more information and to receive answers to any of your questions about buying or selling in New York, contact me at Tony.sargent@compass.com. I’ve had 18+ years of experience working with clients in Manhattan and Brooklyn. Happy to share my knowledge with you! Wherever you are in New York, people ask – “How’s the market?” “The Market” really depends on which segment of the real estate market you are interested in. New York’s market is divided by neighborhood, by price point and property type. Sellers ranging from Greenwich Village Studios to Deluxe Upper West Side apartments and to West Village Townhouse owners have contacted me lately asking about the market and evaluating selling. I’ve been actively marketing 2-3 Bedroom homes in Chelsea and Williamsburg, Brooklyn giving me a deep snapshot into the market on multiple levels. 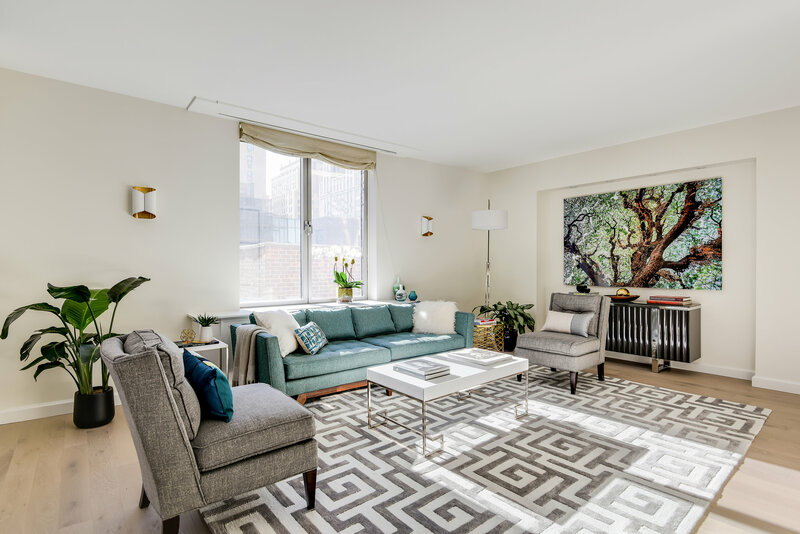 Chelsea 2-3 Bedrooms – ($2.25M to $3.3M) – Chelsea continues to have higher levels of inventory in this category, providing buyers with some opportunity. Well priced listings are selling, or those listings that lingers have been going to contract, after their prices align with buyer expectations. On average 5-7 contracts have been signed per month with approximately 50+ active units on the market. My listing has a contract out. Fingers crossed! Williamsburg – When you move away from the Williamsburg waterfront and look at townhouses, there is little on the market that is not older. Around the Lorimer Street / Metropolitan Avenue area development of multi-family homes is evident. Walking up and down Devoe, Ainslie or Powers street old homes have been replaced by more modern designs. The are is vibrant and for the un-initiated, the Lorimer / Powers area is almost the perfect tip of the triangle to be able to have access to South Williamsburg and Williamsburg Bridge within minutes or being able to access the Bedford Street area and McCarren Park of Williamsburg. My listing there at 60 Powers Street has seen a lot of activity of late. Buyers are out in force – and many already live in the area and are renting or begrudgingly looking outside of Dumbo where they have been enjoying loft living for many years. The big question is this: What about the L-train? After being in Brooklyn now for two months to prep and stage my listing and market it, I’m in love. The train also (especially from Lorimer St) will hopefully be less of an issue than one thinks. To get to mid-town it’s four short stops to Court Square and a connection to the E or 7 train as well as others. For downtown, it’s easy to get to the J,M and Z trains. Luxury Properties – The luxury sector has picked up significantly compared to 2017. That’s not to say it’s flying, however buyers who were on the sidelines have jumped into the market and are buying properties which have been reduced in price. Reports have been showing 24+ signed contracts over $4 Million which is a significant jump from the slower months recently. New Developments are still commanding the highest prices and volume of new luxury contracts with their views, amenities such as private garages and secure driveways like at 70 Vestry Street in Tribeca. Bottom line: It’s still a challenging market for most, however if well positioned both sellers and buyers have opportunity in this market. If you have any questions, please contract me. I’m happy to help you. The Campiello Collection in Chelsea was developed by Elad. It was one of their first condos in New York in the early 2000’s when most people would head to the Upper East Side still when looking to buy, to find themselves a Classic 6 – as the traditional 2-bedroom coop homes were referred to with their closed kitchens and small maid rooms. While no one measures square footage in the same way, these ranged from 1,400 to 1,600 Square Feet. By 1998 developers had started to convert former warehouses in lower Manhattan and Chelsea was about to undergo great change. Formerly the Barney’s parking lot (Barney’s is back – around the corner) this building was built ground up as a boutique full-service luxury condo. One of its key features that make it stand out today are the extra spacious living rooms and bedrooms. To attract buyers downtown back then, it was all about space. By the 2004 developers started chopping the apartment sizes down so many later New Developments in Chelsea and the area had small second bedrooms and tighter living / dining combinations. If you are thinking of renovating your home or apartment, new kitchens and baths are definitely high on the list of items to transform, however travel with caution if you don’t replace your floors. In cities which have cold winters hardwood floors provide texture and warmth. New floors make a huge visual impact on your home. Why? As you know, flooring covers your entire apartment. How it appears affects buyer’s impressions of your apartment and therefor its ultimate sale value. How many people skip spending money on their floors. Do. You’ll get it back multiples. Over the years I’ve had several listings which had old floors. On one which lingered for 3 months on the market buyers could not get past the aged floors. We recommended the seller install new hard wood floors. She invested $15,000 in them – we received an offer to buy within days after it went back on the market, $120,000 above where the most recent offer had been. I stage properties for my sellers. On a recent sale (and estate) we removed wall-to-wall carpets that had been down for over thirty years. The floor was dark and old. We sanded them, replaced old tiles and lightened them and used a matte polyurethane finish. Within ten days of listing the apartment went to multiple bids and into contract. The refinishing cost? $3,000. 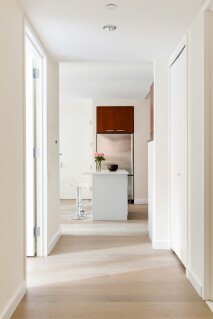 Last week I listed this luxury 2-bedroom condo in Chelsea at 151 West 17th Street (see photo). The owner spent money replacing the original maple composite floors installed by the original developer with custom wide-plank (5″) white oak, installed over a cushioning sub-floor. The floors look amazing which makes the apartment desirable and they feel like butter underfoot. Thinking about selling your home and need some design tips for flooring? Feel free to contact me – or – check out this fantastic article from Elle Decor – “The Complete Guide to Hardwood Flooring Types and Costs“. It really breaks down the wood types, and what qualities they have which may make them more or less desirable for your intended use. Last Tip: If you can afford it, spend the money for hardwood or top quality composite hardwood floors. In Manhattan at least, stay away from laminates that feel have a plastic look or feel to them. Buyers notice laminates immediately and most don’t respond well to them. After 18+ years in New York luxury real estate – having worked at both one of the largest firms for my first 11 years and a boutique luxury firm for 7, I felt the need to grow and be inspired again. Looking forward to the future, I felt that as we move forward in the world, technology will be playing a bigger part in the real estate industry. Real estate is always going to be a person to person business, but how you search for your home and how we are able to put technology to work for you, in my mind will make all the difference in your success.